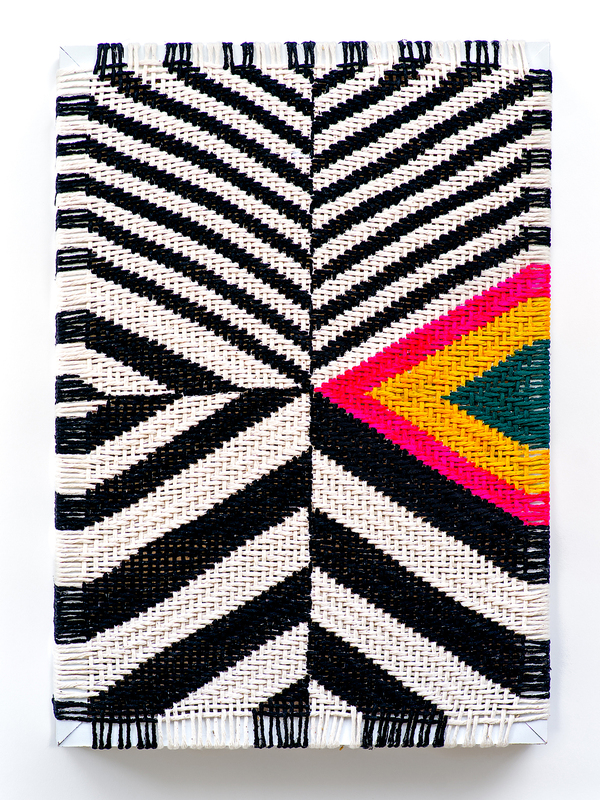 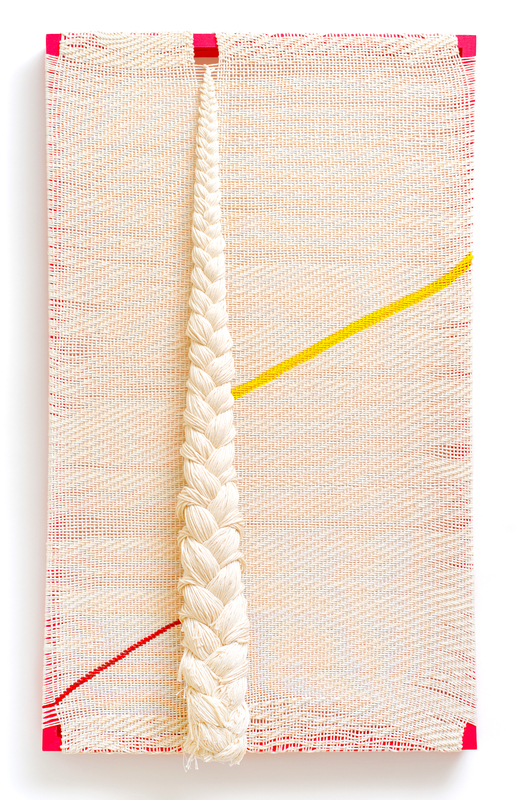 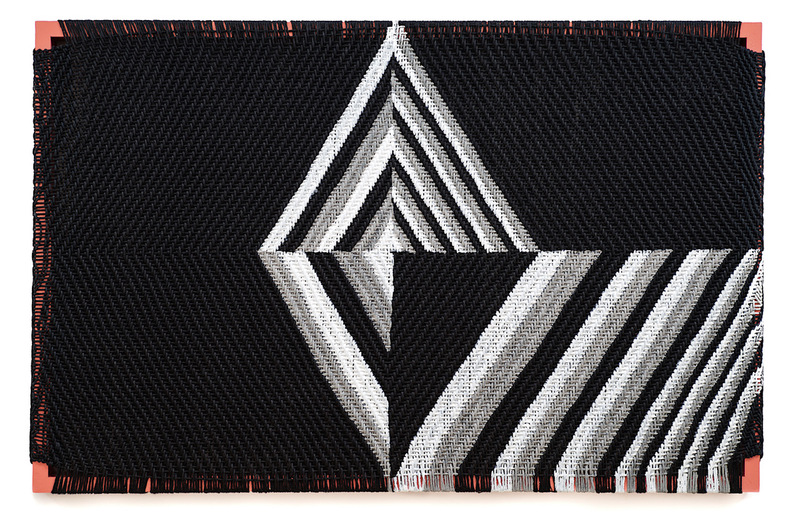 In weaving, I am able to connect and explore within the medium's layered cultural heritage, while also indulging in the abstract language of painting that I love. 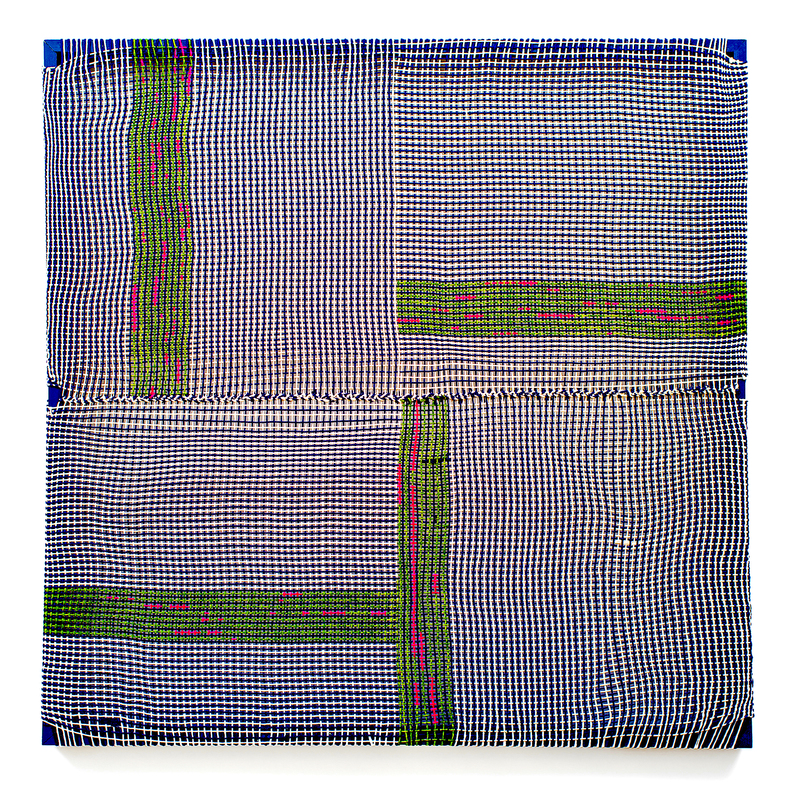 I invite the viewer's associations about weaving with domesticity, tradition, femininity, and craft, and in my work, aim to celebrate and expand upon these associations by exploiting and magnifying the formal gridded world within the process. 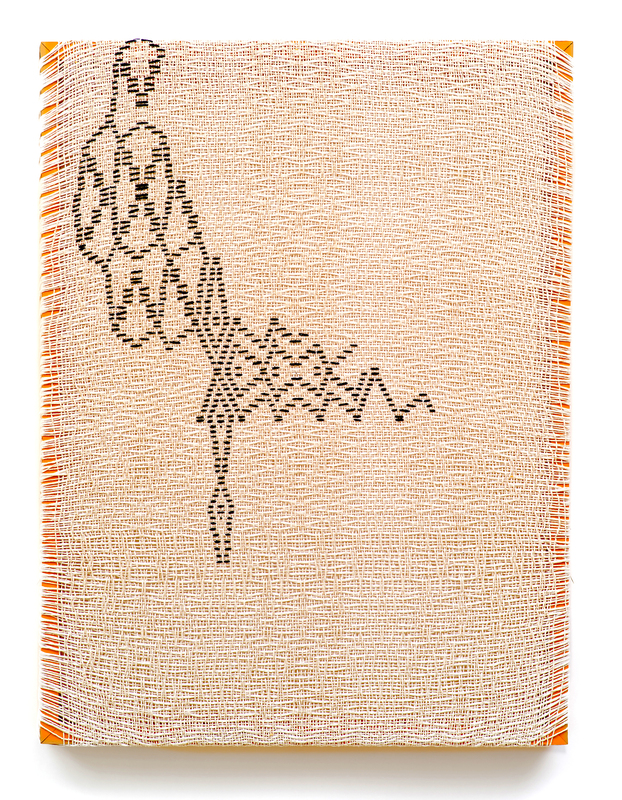 I magnify and simplify traditional weaving patterns to reveal the complex designs these modest threads are capable of making. 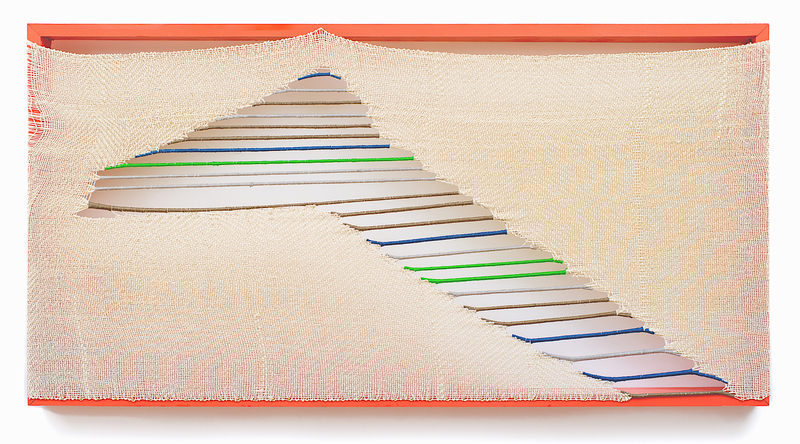 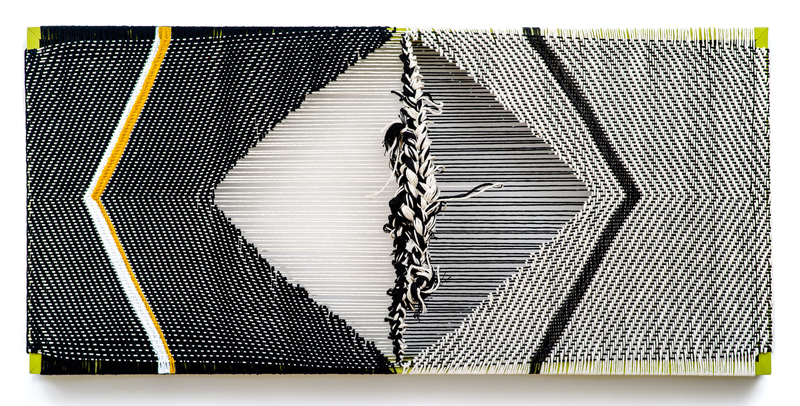 After the cloth I weave has been taken off the loom, weavings are aggressively bound and stretched, creating sculptural paintings on frames that the weavings are both, defined by and expanding beyond. 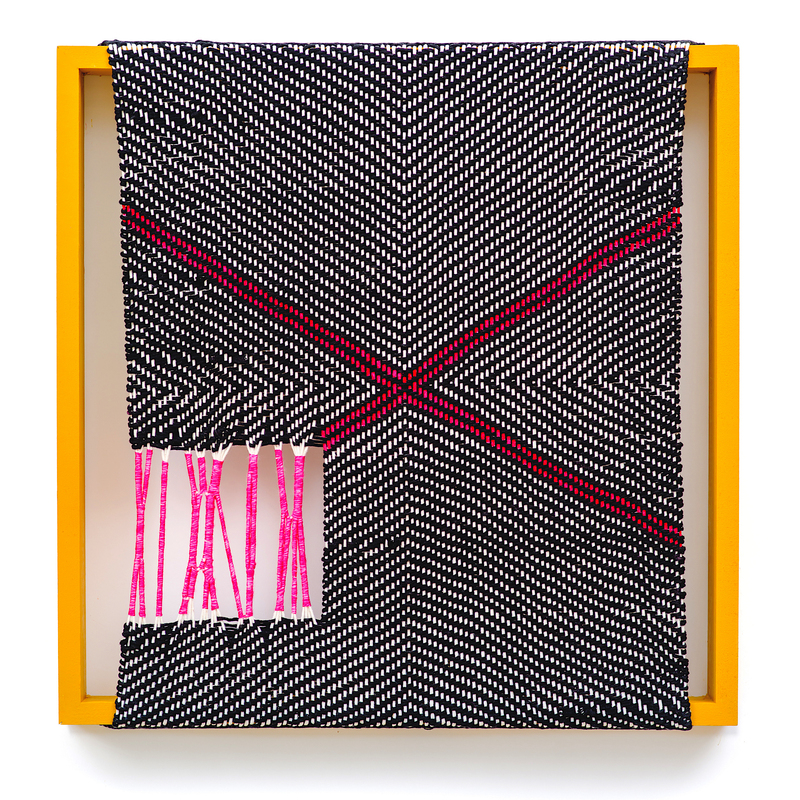 Dye is meticulously painted on the weavings, and excess threads are braided or corded-all painterly decisions, which further exploit the fact that these feminine, historically rooted, and domestic practices also exist as strong abstract contemporary art. 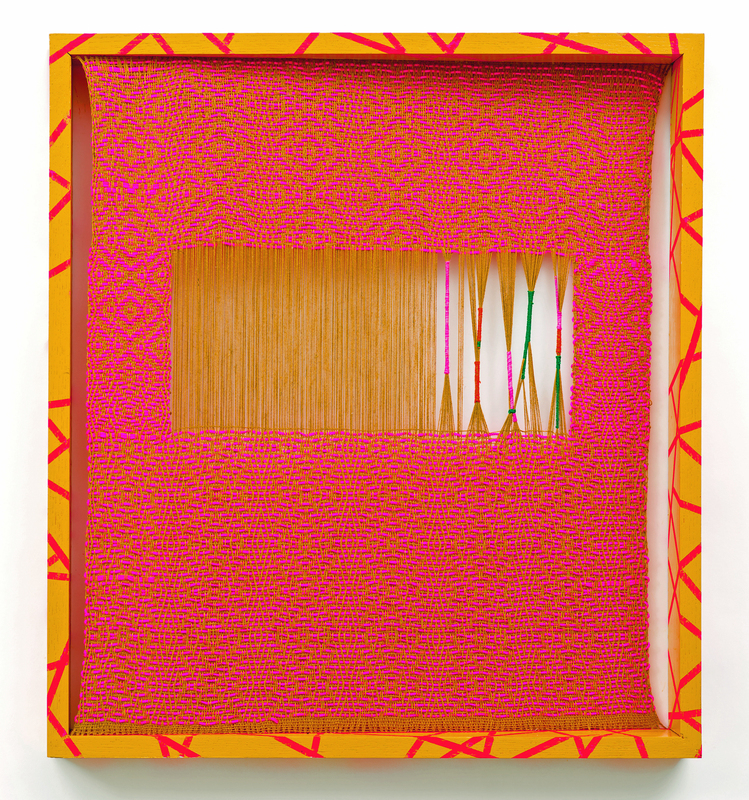 Process as well as literal and metaphorical tensions are present within the final work.